Lipoic acid is an essential cofactor for mitochondrial metabolism and is synthesized de novo using intermediates from mitochondrial fatty-acid synthesis type II, S-adenosylmethionine and iron–sulfur clusters. This cofactor is required for catalysis by multiple mitochondrial 2-ketoacid dehydrogenase complexes, including pyruvate dehydrogenase, -ketoglutarate dehydrogenase, and branched-chain ketoacid dehydrogenase. Lipoic acid also plays a critical role in stabilizing and regulating these multienzyme complexes. Many of these dehydrogenases are regulated by reactive oxygen species, mediated through the disulfide bond of the prosthetic lipoyl moiety. Collectively, its functions explain why lipoic acid is required for cell growth, mitochondrial activity, and coordination of fuel metabolism. Lipoic acid (LA) is a potent mitochondrial antioxidant and an essential cofactor of α-ketoacid dehydrogenases. 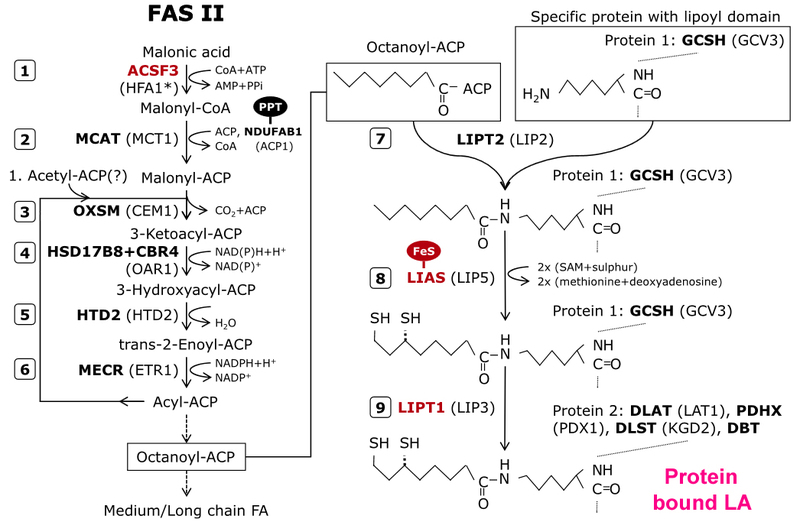 ISCA and C1orf69 are thought to assemble Fe-S clusters for mitochondrial aconitase and for lipoate synthase, the enzyme producing lipoate for pyruvate dehydrogenase complex (PDC). PDC and aconitase are involved in the production of succinyl-CoA, a substrate for heme biosynthesis. 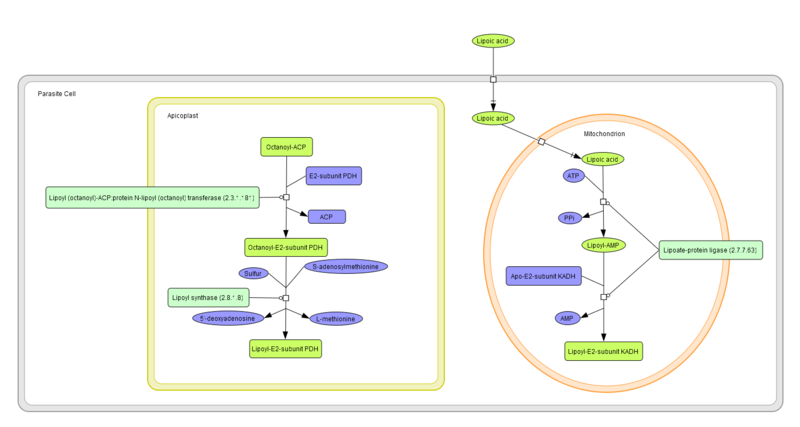 Thus, many steps of heme synthesis depend on Fe-S cluster assembly. In most cases (with the exception of the sodium-dependent multivitamin transporter for biotin, pantothenic acid, and lipoic acid), the vitamins are transported by separate carriers through the blood-brain barrier or choroid plexus. Sodium dependent multivitamin transporter (SMVT; product of the SLC5A6 gene) is an important transmembrane protein responsible for translocation of vitamins and other essential cofactors such as biotin, pantothenic acid and lipoic acid. The role of R-α-lipoic acid as a cofactor (lipoyllysine) in mitochondrial energy metabolism is well established. Lipoic acid non-covalently bound and exogenously administered to cells or supplemented in the diet is a potent modulator of the cell's redox status. The diversity of beneficial effects of lipoic acid in a variety of tissues can be mechanistically viewed in terms of thiol/disulfide exchange reactions that modulate the environment's redox and energy status. 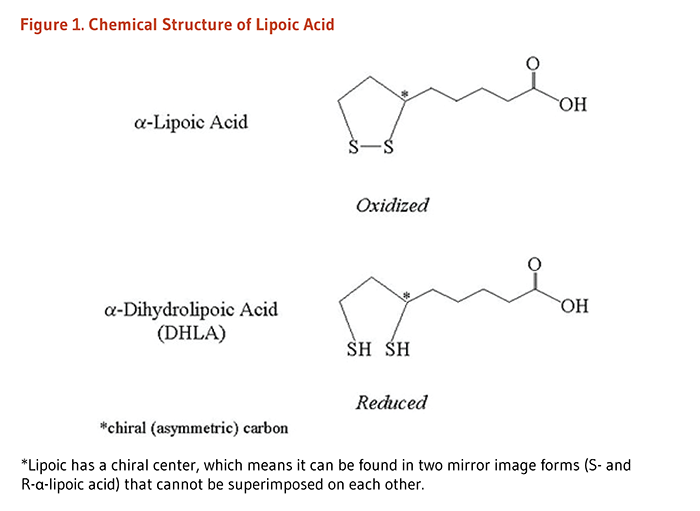 Lipoic acid-driven thiol/disulfide exchange reactions appear critical for the modulation of proteins involved in cell signaling and transcription factors. This review emphasizes the effects of lipoic acid on PI3K and AMPK signaling and related transcriptional pathways that are integrated by PGC-1α, a critical regulator of energy homoestasis. The effects of lipoic acid on the neuronal energy-redox axis are largely reviewed in terms of their outcomes for aging and age-related neurodegenerative diseases. Dietary vitamin D deficiency in rats from middle to old age leads to elevated tyrosine nitration and proteomics changes in levels of key proteins in brain: implications for low vitamin D-dependent age-related cognitive decline. Given that VitD deficiency is especially widespread among the elderly, it is important to understand how the range of serum VitD levels that mimic those found in humans (from low to high) affects the brain during aging from middle-age to old-age.